Founded in 1990, Elbi of America, Inc. is an innovative manufacturing company backed by the extensive experience of parent company, Elbi S.p.A. 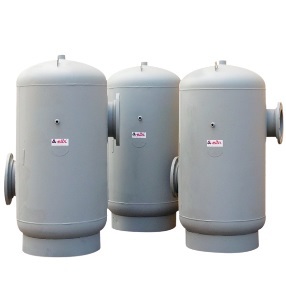 The WTS and WTL Series Water Well Pressure Tanks are designed according to the ASME CODE Section VIII – Div. 1 using the latest technology in terms of manufacturing processes and quality control. 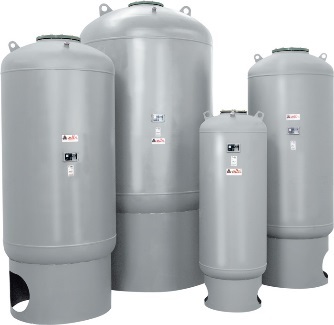 Elbi ASME Pressure Tanks are designed according to the ASME CODE Section VIII – Div. 1 using the latest technology in terms of manufacturing processes and quality control. 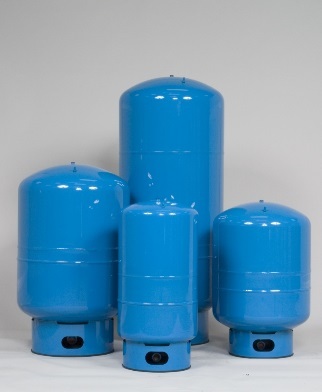 Available in 150 psi maximum working pressure, these tanks are available for use in potable water and hydronic loops. All models are fitted with a replaceable bladder. The ELBI DWT Series of hydropneumatic water well tanks represents the latest development in well tank technology and comes with a true deep-drawn design with one single-body weld which gives it reliability, lightness and efficiency. There are no inner domes to limit the diaphragms’ expansion, therefore the maximum drawdown can be obtained in all conditions. Our tanks feature a food-grade Polypropylene liner which has been tested against ASTM standards for perfect adhesion. All units are NSF61 and IAPMO certified. Elbi air separators are designed according to the latest ASME CODE Section VIII – Div. 1 using the latest technology in terms of manufacturing processes and quality control. Stock units are available in 125/150 psi maximum working pressure. Elbi standard stock line of tangential air separators are ASME vessels designed with tangential openings to create a low-velocity vortex where entrained air is separated and removed from circulating water or antifreeze in a closed system. Our ASW Series tangential air separators are supplied with a stainless-steel strainer to collect unwanted system debris. Elbi tangential air separators are ideally suited to assist removal of trapped system air such as blocked terminal units, inefficient pump operation and performance, and costly corrosion and fouling of equipment. Bypass Feeders are a convenient method of introducing treatment chemicals into closed circulating water systems. Bypass Feeders are ideal for use in hot-water treatment in heating systems or chill-water air conditioning systems.